Patient, family members and patient advocacy groups refused to be passive victims by welcoming and supporting any initiative to the rare disease landscape that are seriously committed to developing safe, effective treatments for patients. Due to the specificities of rare diseases, patients and family members are amongst the most active drivers to foster awareness, education and research. This section aims at liaising all stakeholders and at being a vehicle to promote collaborative work. A complete directory of CDG patient advocacy groups as well as local patient representatives is offered. How to connect with the World CDG community? So far almost 800 CDG families and professionals are members of the CDG Global Alliance! The goal of CDG Global Alliance Facebook page is to make the best use of social media tools to transform CDG families lives. A strong social media presence can be the key ingredient to overcome many of these barriers. CDG patient representatives are extremely motivated users of social media and empowered citizens and scientists. 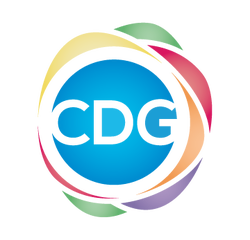 CDG Global Alliance boosts worldwide collaborative networks within families and professionals by fostering effective communication, sharing information and significant resources. RareConnect.org, a EURORDIS initiative, is the growing online network of rare disease communities that brings together thousands of patients, families and groups who might otherwise be isolated. Through RareConnect, patients and those who care for them can communicate, sharing experiences and information in a safe, moderated online forum. With human translation available at no cost to participants, RareConnect allows patients from different countries to interact in English, French, German, Italian, Portuguese or Spanish languages. Visit the RareConnect website for a full list of the current rare disease communities. 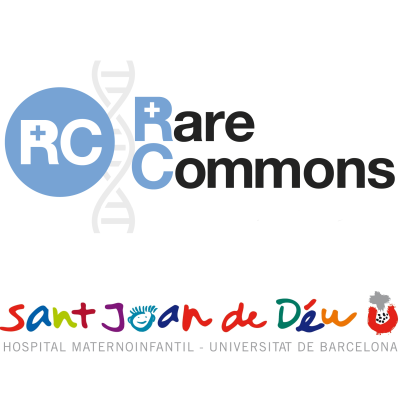 The Rare Commons platform allows access to a safe and secure environment under the supervision of the Sant Joan de Déu Hospital. The goal is to offer appropriate resources to encourage the development of biomedical knowledge, in cooperation with the family members of patients affected by rare diseases. Rare Commons develops research on CDG through an online community dedicated to CDG. Users are grouped into private communities that bring together families and physicians (in separately communities and with appropriate services) who can work together to expand scientific knowledge about the illnesses in question and better record their natural course and evolution. The community is also designed to provide mutual support between families and physicians thorugh an online . How families and medical doctors can drive CDG research on Rare Commons? Read a chapter about an organ or bodily system affected by the disease. Fill out a medical questionnaire on the subject. While filling in the questionnaire, you will have access to support and advice, both from the main investigators and from other families already involved in the project. Once the questionnaire is completed you will have access to the entire body of information provided by the community as a whole in the form of graphs and tables annotated by the team of scientific experts in each area of specialization related to the disease. During this process, you can invite your doctors to take part in the CDG clinicians community which aims at adding to the project their knowledge and collaboration regarding their experience with CDG patients. The "World Conference on Congenital Disorders of Glycosylation for Families and Professionals” is a biennial event fruitfully designed in collaboration with leading experts in the field of CDG: families and professionals work together to exchange knowledge, experiences, needs and perspectives. How you can get involved in the "World Conference on Congenital Disorders of Glycosylation for Families and Professionals" activities? Join us on Facebook and be updated on the "4th World Conference on CDG:" which will be held in Lisbon, Portugal - 26 to 28 July 2019. When the event is close, use the World Conference Symbol on your Facebook profile picture & Twitter page ! Disseminate the infographic dedicated to explain the important benefits of this gathering event (see toolkit below). "4th World Conference on CDG"
Lisbon, Portugal - 26 to 28 July 2019.